A plaque to commemorate the R.A.N. 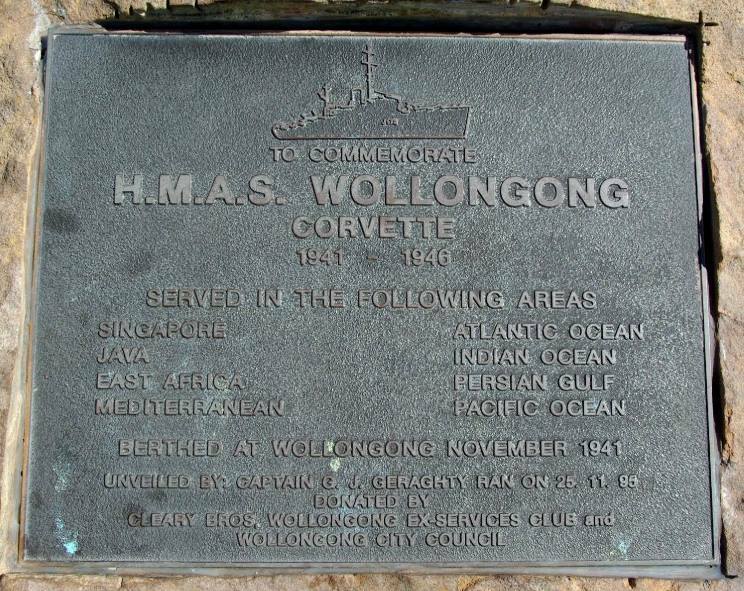 corvette HMAS Wollongong located on Flagstaff Hill overlooking the harbour of Wollongong City in the Illawarra region of NSW, south of Sydney, Australia. 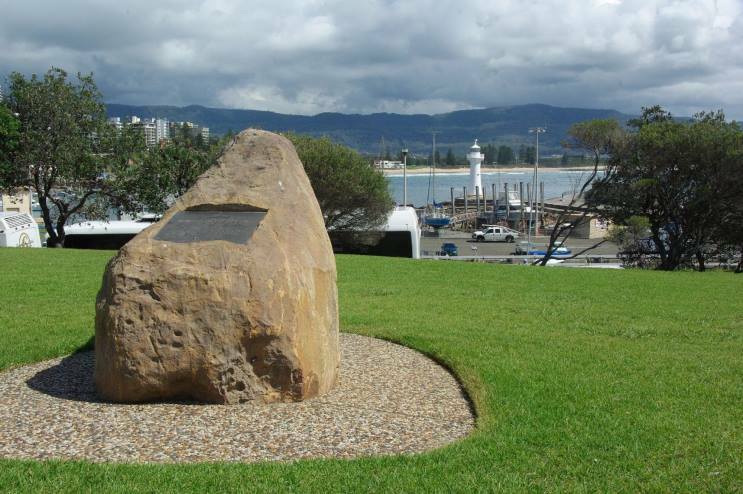 This plaque is not far from the Wollongong Vietnam War Memorial.